If pink is your favorite, then this little cute pouch could become your bestie in no time! This pouch bag is outlined with colourful embroidery Read More..designs. 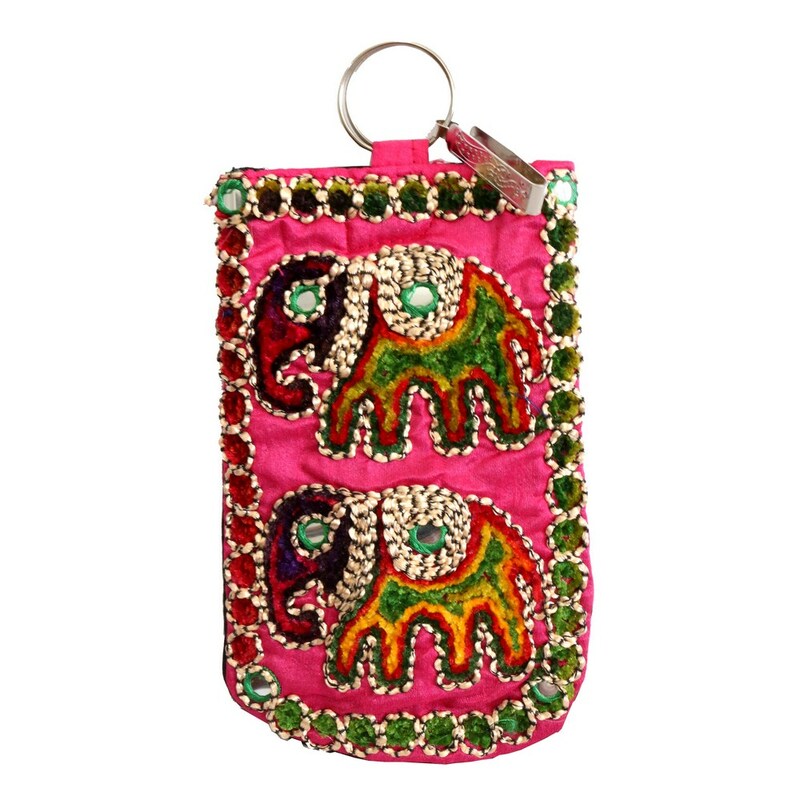 The body of the bag is adorned with two colourful and well designed elephants. This pouch is attached with a silver ring to crown the beautiful effect. Show Less..